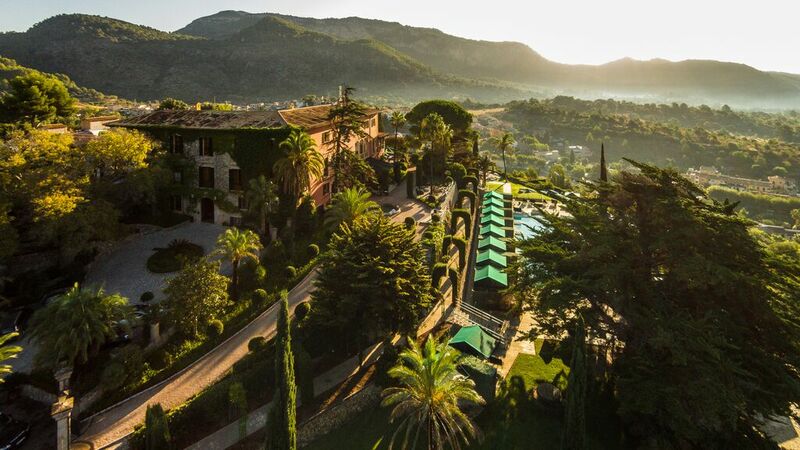 Several years’ ago I had the pleasure of interviewing David Stein, the American businessman who owns the 5-star Gran Hotel Son Net in Puigpunyent, Mallorca. 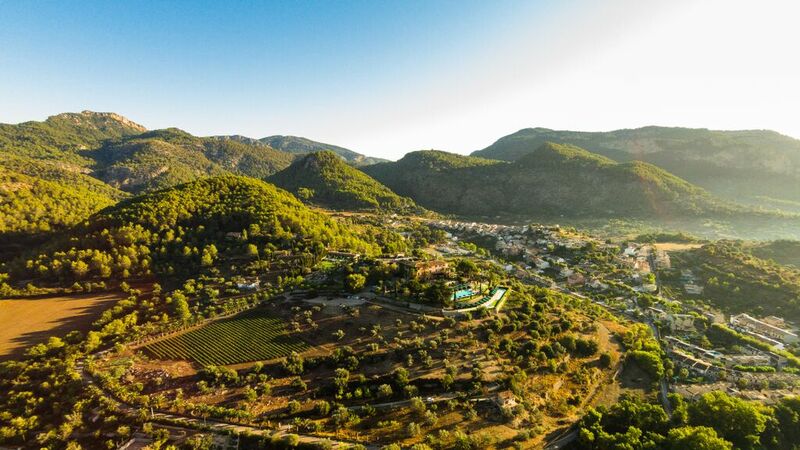 The estate – which has glorious views of the UNESCO World Heritage Site Serra de Tramuntana mountains, and looks over the village – dates back to the 17th century, and used to be his family home. Spectacular location of Gran Hotel Son Net. Image courtesy of hotel. David’s former house was converted into a luxury boutique hotel in 1998, following a sensitive restoration which retained many of the historical features of the building. The hotel has 31 rooms and suites and all the facilities a discerning (and romantically inclined) guest could wish for. It’s also open during the winter, which – on an island where many hotels put up the shutters during the cooler months – is a bonus for anyone who wants to discover the beauty of Mallorca at this time of year. Having stayed here with The Boss in the past, it’s easy to understand why Gran Hotel Son Net has just been voted “Best for Romance Hotel in Europe and the Mediterranean Region” in the prestigious 2016 Condé Nast Johansens Awards. It’s another award for the hotel from the same publisher, which named it their “Most Excellent Hotel in Europe and the Mediterranean Region” in 2013. Gran Hotel Son Net – another perspective. Image courtesy of hotel. Romantic Oleum restaurant with exposed stone walls, original olive oil press, and opulent velvet curtains. If a romantic getaway is on your agenda, Gran Hotel Son Net is currently offering a package starting from 222€ per couple, per night, including a welcome cocktail, cava and fruit in the room, a three-course candlelit dinner and breakfast in bed. The awards, which are widely regarded as among the most prestigious in the industry, are based on the combined results of the Condé Nast Johansens’ online voting system, guest survey reports, inspector feedback, and Condé Nast head office. Condé Nast Johansens (www.condenastjohansens.com) is an international mark of distinction. Trusted for 34 years, it is the leading independently produced multi-media source for today’s traveller, sourcing hotels, spas and venues for leisure and business in the UK, Europe and the Americas.